Professionelle optagelser, når du er på farten: MKE 2 digital kombinerer krystalklar lyd med højopløsnings-konverterteknologi fra Apogee til moderne iOS-enheder. The MKE 2 digital is a professional solution for mobile recording. Whether videos, recording or interviews: With its wide range of applications, the MKE 2 plug-in microphone is already regarded as a legend for large- and small-scale productions. While delivering top-quality musical images for speech and song, its tandem membrane provides it with a high degree of robustness against all environmental influences. 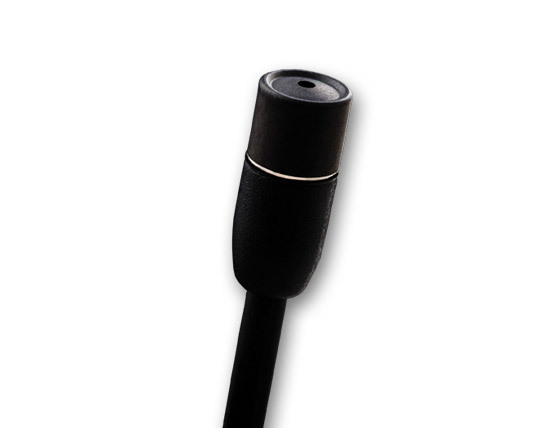 The condenser microphone is connected via Lightning to modern iOS devices – allowing the jack socket to remain free for monitoring headphones as needed. An external converter from the Apogee high-end forge undertakes the digital signal conversion. With 96 kHz and 24 bit, the signal surpasses any CD quality available. 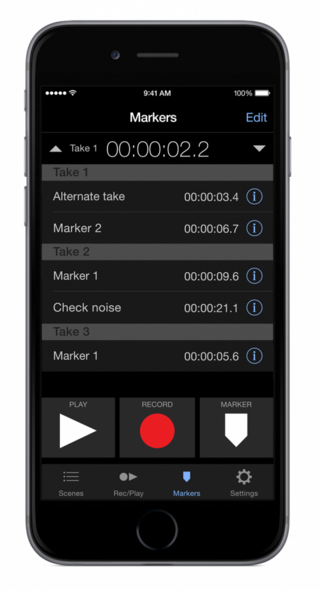 The corresponding apps (MetaRecorder and Maestro) for recording and control are included in the package. In addition, the apps deliver metadata for the further processing, thus making the recording a simple matter. Essential features of MetaRecorder can be controlled from Apple Watch – start and stop recording, add a take to Favorites, add Markers or set your microphone input level. 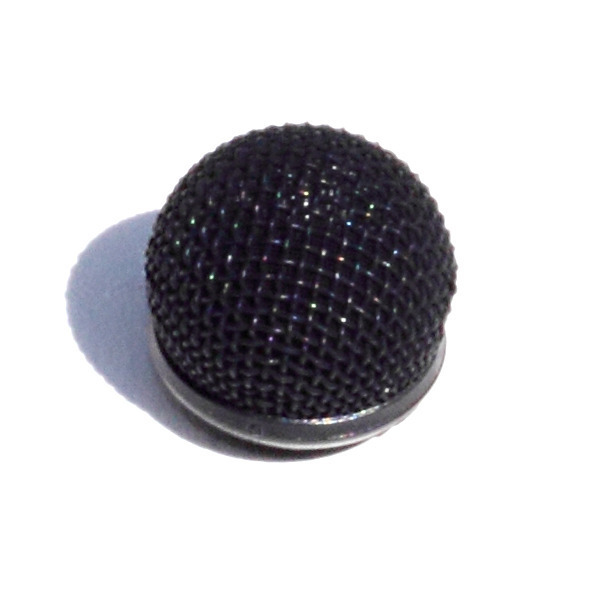 There are, of course, many other apps that can also directly access the microphone. Apple, iOS®, iPad®, iPhone® and iPod® are registered trademarks of Apple Inc.
MKE 2 digital leverer high-end lyd til din video, din dokumentar, dit stream eller dine interviews. Har du et større publikum i tankerne? Med dette sæt opnår du perfekte optagelser på farten – selv når du arbejder alene. Apogee- og Sennheiser-eksperterne har skabt et enkelt og fantastisk optagesystem. Inkl. alle apps til aktuelle iOS-enheder. Til alle professionelle, som lever for at opfange de specielle øjeblikke: MKE 2 digital leverer lyd i studiekvalitet – på et niveau, som indtil for nylig kun var muligt med langt dyrere og mere komplicerede løsninger. "Har du indspillet det i et studie?" MKE 2 digital er en broadcastmikrofon i professionel kvalitet. Den giver mere dybde og nærhed til enhver stemme og opfanger de fine nuancer i alle situationer. Dit workflow lettes endvidere af, at vigtige metadata og markers inkluderes direkte, når dine data overføres til din redigeringssoftware. Der er visse situationer i livet, som højst sandsynligt kun forekommer én gang. Det er i disse øjeblikke, vi har brug for teknik, der fungerer i perfekt harmoni med vores tilværelse. Til dette formål leverer MKE 2 digital teknologier, som professionelle kan regne med. MKE 2 er en legende inden for live optræden – den har manifesteret sig som en verdensomspændende branchestandard på Broadway, i TV og ENG. Takket være det robuste hus og den ultralette "Umbrella"-membran (TM) er den beskyttet mod fugt og forbliver driftssikker i enhver situation. Der medfølger vindhætter af metal og skum, som også kan kombineres til optimale optagelser. 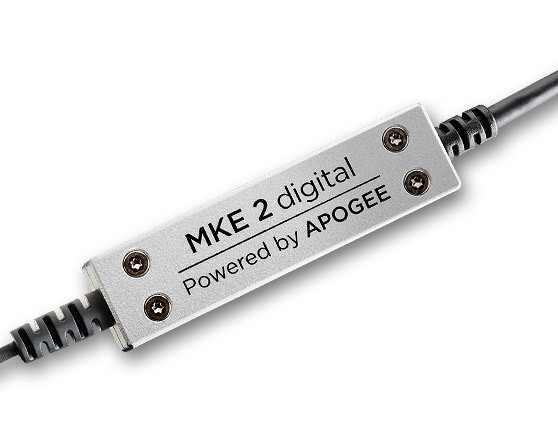 Specielt til MKE 2 digital har Apogee-eksperterne udviklet en særlig A/D-konverter med langt flere muligheder end tidligere. Med 96 kHz/24 bit-data leverer den optimal lydkvalitet til din iOS-enhed. MetaRecorder gemmer ikke blot dine optagelser, men forenkler også både håndteringen på stedet og den efterfølgende synkronisering – inkl. XML files til Final Cut Pro. Og hvis du foretrækker andre optagelses- eller film-apps, kan du med Maestro-app'en kontrollere de mindste detaljer ved mikrofonen og optagelsen. MKE 2 digital anvender Lightning-stikket og gemmer dermed dine højkvalitets-data direkte i din iOS-enhed. Monitorering kan ske via BlueTooth eller på iPhone modeller pre model 7, ved at tilslutte hovedtelefoner til hovedtelefonudgangen. Can I listen through headphones while recording with a ClipMic digital or MKE 2 digital? 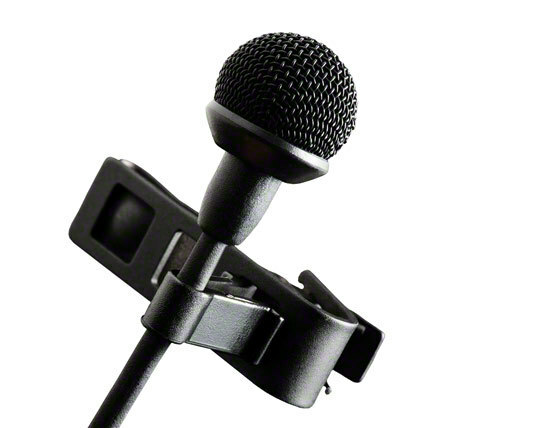 You can certainly have a Sennheiser ClipMic digital or MKE 2 digital and a set of headphones or ear buds connected to an Apple device (iPhone, iPad, etc) and functioning together. To allow this set up to function correctly connect your headphones/ear buds first and then connect your ClipMic digital or MKE 2 digital. Next go to the ‘Settings’ tab and engage the ‘Input Monitor’ switch. It might be helpful to understand that iOS uses the most recently connected audio device for audio In/Out. If a ClipMic digital or MKE 2 digital is connected first and then a headset second the audio apps will use the headset for input and output. If the headset is connected first and then the ClipMic digital or MKE 2 digital second the audio apps will use the headset for output and the ClipMic digital or MKE 2 digital for input. How can I be sure that MetaRecorder is getting audio input from the right device? In MetaRecorder the active input device is indicated below the input gain slider display button ­ the button with the mic icon on it. How can I download MetaRecorder onto my iPad? As of version 1.01 MetaRecorder doesn’t include a layout specific for iPad, which leads to the app being listed as “iPhone Only” in the App Store’s search function. Nevertheless, it’s possible to download an “iPhone Only” app on your iPad and run it with absolutely no difference in operation. 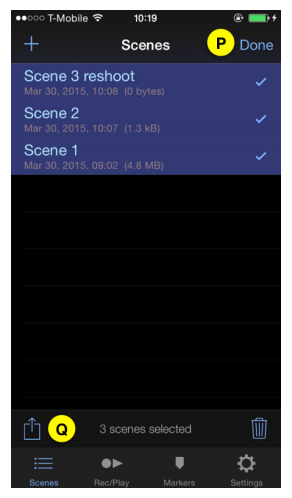 When searching for MetaRecorder on the App Store, set device filter to “iPhone Only” and download. 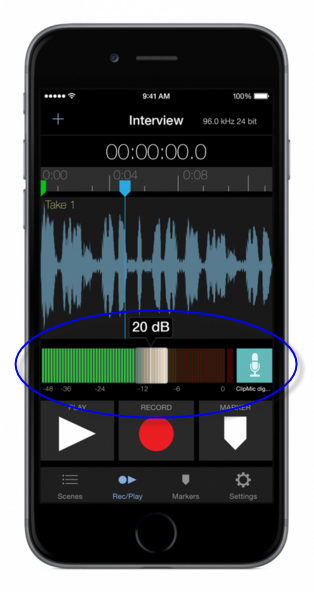 How can I export audio files from the MetaRecorder App to another device? 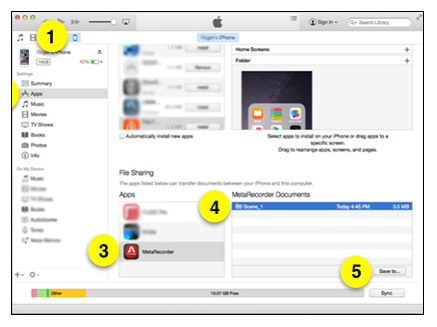 ● iTunes - via a wired connection between your iOS device and your Mac/PC. - Tap the Scenes tab. - Tap Select/Done (P)​ then tap the Scene(s) to be shared. - Tap the Share icon at the bottom of the screen (Q)​. - Choose “Export to Dropbox". NOTE: A progress bar appears at the bottom of the screen to indicate Upload progress. NOTE: Before sharing MetaRecorder Scenes via Dropbox you’ll need to create a Dropbox account (http://www.dropbox.com). Dropbox offers up to 2 TB of cloud storage at no cost plus very reasonable paid subscriptions. - Choose “Export via Email”. The iPhone’s Mail app is opened and an email draft is created with the selected Scene(s) attached. By using the Lighting to USB cable that comes with the iPhone charger it’s possible to transfer Scene data to a computer. There’s no need to select Scenes to share via iTunes File Sharing ­because this method gives you direct access to the iPhone file storage system. 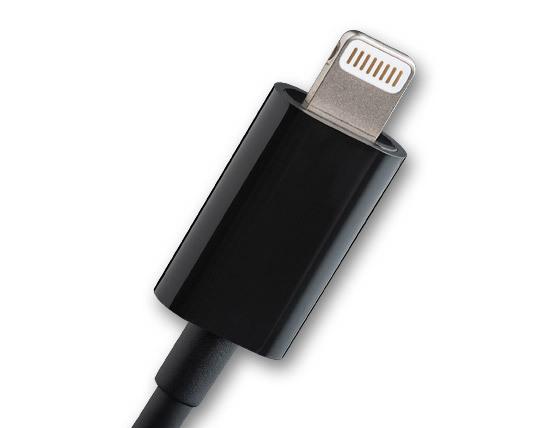 - Connect the iPhone to your Mac or PC using the Lightning to USB cable that came with the iPhone/iPod charger and then launch iTunes. How do I adjust the input level of the microphone on the Apogee MetaRecorder? To adjust the input level of the microphone on the Apogee MetaRecorder use the input level control slider. How do I start recording with the Apogee MetaRecorder? To start recording using the Apogee MetaRecorder simply press the RECORD button. What are the recording time limitations of the Broadcast Wave format? MetaRecorder can record and play back two file formats ­Broadcast Wave and CAF (Coure Audio File). Broadcast WAVE files have a 2GB size limit due to limitations of the format and iOS. This translates into the following maximum recording times per file (i.e. 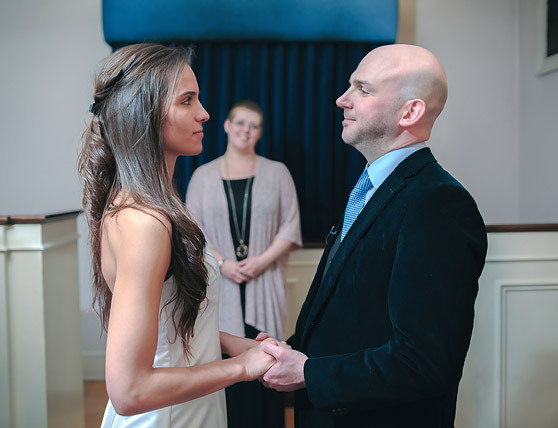 one continuous take) shown below. The number of separate files that may be recorded is limited only by available storage on the device. Swipe the Playhead time to the left to see available recording time/storage. If you need to record one continuous file for longer than the maximum recording times indicated above choose the CAF audio format. 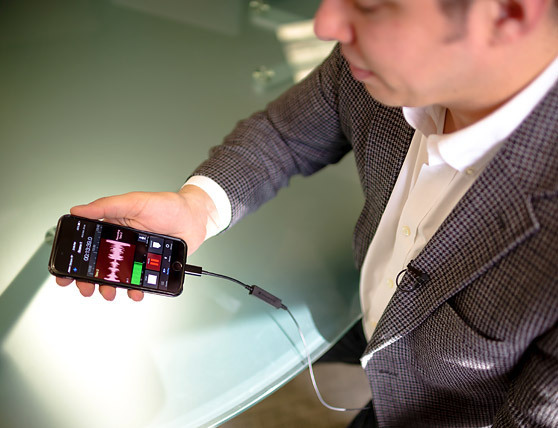 What does the main screen of the Apogee MetaRecorder look like? What does the markers screen of the Apogee MetaRecorder look like? Where can I find the MetaRecorder User’s Guide? The MetaRecorder User’s Guide may be found in the app at Settings > Help. The User's Guide can also be located on Apogee’s website (http://www.apogeedigital.com/support-documentation/metarecorder-users-guide) in the Support/MetaRecorder section. Why doesn’t Input Monitoring work at 88.2/96kHz? Input Monitoring will only work at 88.2/96kHz if your output device supports these sample rates. 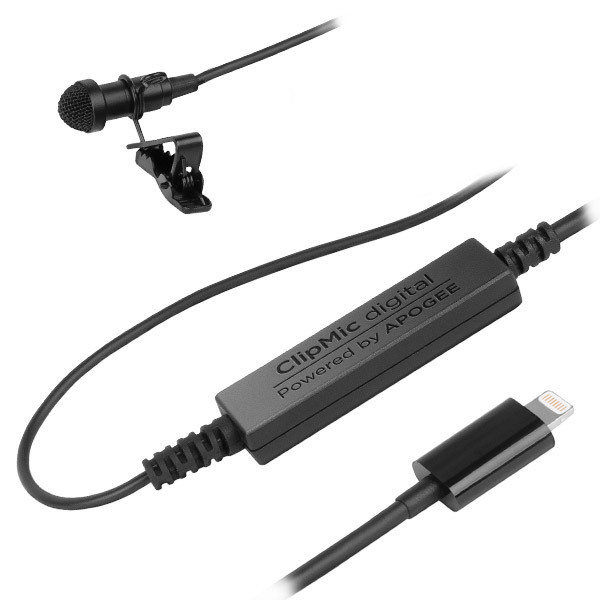 If you are using an Apogee MiC 96k or a Sennheiser ClipMic you can record at 88.2/96kHz, but you may not be able to use input monitoring if you’re using the iDevice’s built­-in output or Apple ear­buds since both of these output devices only support up to 48kHz. The recorded file will still be at 88.2/96kHz, but when you play it back you will be listening at 44.1/48kHz. If you would like to use input monitoring while recording, you can use a lower sample ­rate, such as 44.1 or 48kHz or if you would like to stay at a higher sample­ rate, you can use an input/output device that supports 88.2/96kHz on input and output, such as the Apogee ONE for iPad & Mac or the Apogee Duet for iPad & Mac. Why does recording stop on the MetaRecorder after 60 seconds? 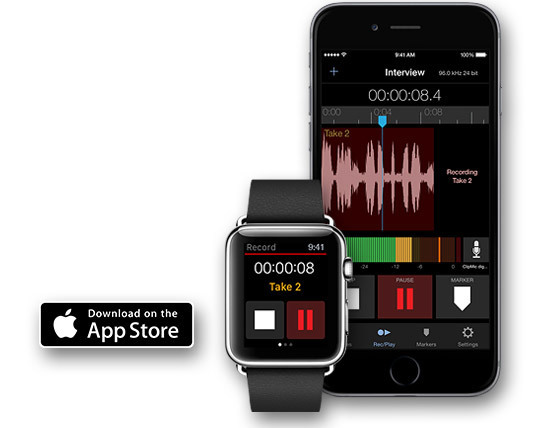 The free version of MetaRecorder downloaded from the Apple App Store is limited to 60 seconds of continuous recording. Option 1: Connect a compatible Sennheiser or Apogee or device one time. Once full functionality is unlocked once it remains unlocked until a new app update is installed. Option 2: ­Purchase the In­App Upgrade to full functionality from the App Store. Why does the MetaRecorder record my headphones/earbuds mic rather than the ClipMic digital or MKE 2 digital signal? 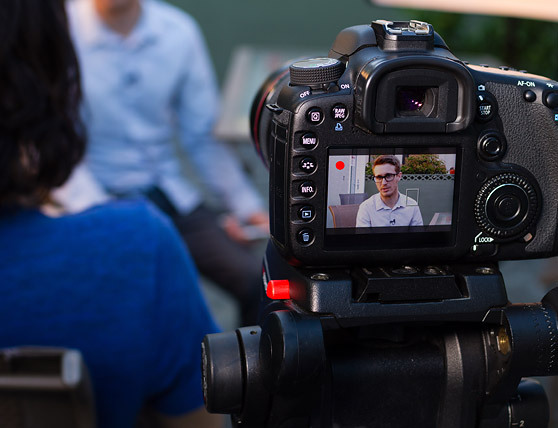 When the MetaRecorder is recording the signal from the microphone of your headphones or ear buds rather than the signal from your ClipMic digital or MKE 2 digital it means that the connection configuration has occurred in the incorrect order. It might be helpful to understand that iOS uses the most recently connected audio device for audio In/Out. If a ClipMic digital or MKE 2 digital is connected first and then a headset second the audio apps will use the headset for input and output. If the headset is connected first and then the ClipMic digital or MKE 2 digital second the audio apps will use the headset for output and the ClipMic digital or MKE 2 for input. Why is the sample rate/bit resolution indicator on the MetaRecorder orange? The orange indicates that the playback sample rate doesn’t match the Scene recording rate. For example, if you’re recording with an input­ only device such as Apogee MiC or Sennheiser ClipMic digital at 96kHz and listening through the iPhone’s headphone jack, the sample rate switches to 48kHz during playback, due to the fact that the headphone output doesn’t support the higher sample rate. Don’t worry, the recorded files are still at the higher sample rate.